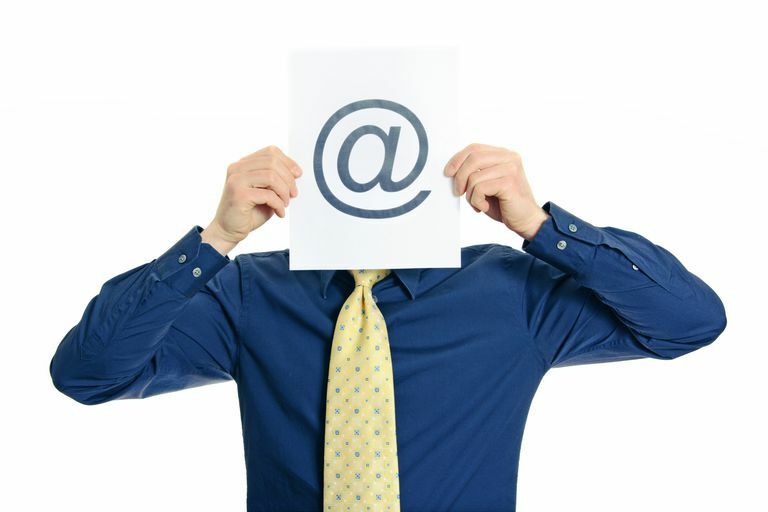 Should You Disguise Your Email Address When Posting Online? One tactic recommended for avoiding spam was to disguise your email address when you post online. Spammers can use special programs that extract email addresses from chat rooms, websites, forums, blogs, and social media. Is this tactic still worth the effort? A common recommendation made in the past was to insert strings, characters, or spaces into your email address when you posted it online. This is no longer considered to be a necessary or effective tactic. Email harvesting programs are sophisticated enough that if a human can decode it, so can the program. Rather than confusing the program bot, you are simply annoying the people you want to contact you. Examples of this tactic: If your email address is me@example.com, you can modify it to read me@EXAdelete_thisMPLE.com. Any messages sent to that email address will bounce unless the "delete_this" is removed from the address. But it is likely that spam bots are even more clever than some of the people you actually want to contact you. Depending on the site where you are posting, you may also be able to post your email address as an image rather than as text. If you do this, it will also make it more difficult for humans to transcribe your address to send you emails. It probably is best used with simple addresses if you really want people to contact you. Email address encoding tools take the obfuscation a step further. While primarily designed for use on websites, you can also use addresses encoded with such tools when commenting online or in a forum. Another tactic for hiding your real email address is to use a disposable email address when you post online or need an email address to sign up for services online. You can move on to a new disposable address if one starts getting spam. Some of these services charge for use. One drawback of using anonymous email services and disposable email services is that these addresses often get filtered out as spam. While you may have been trying to reduce getting spam, you may not be able to receive messages sent to or from these addresses. Use with caution. You may just have to wave the white flag when it comes to protecting your preferred email address. Spam will happen. Spammers have so many ways of getting your email address that resistance is practically futile. The best defense is to use an email client or service that has good spam filters they continuously update.